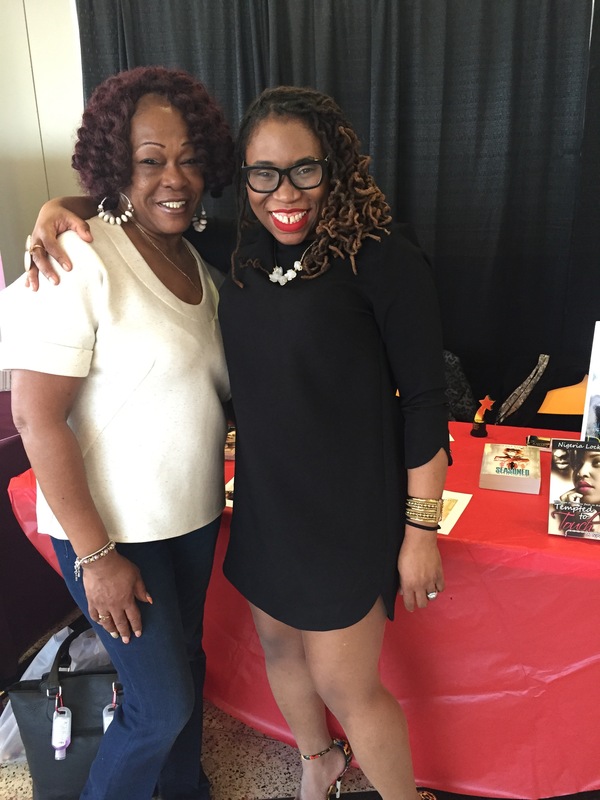 New Release Alert: My soulsis Unoma Nwankwor has a new book out–He Changed My Name. Please, please, one-click today. When you support her you’re supporting me. About the Book: Eager to escape the hypocrisy of the church and build her singing career, pop sensation, Ayanti “Yanni” Effiong enters and wins The Next World Star. Apart from fulfilling her dream, her move to America offers the perfect opportunity to help young female immigrants. A cause she pursues with a passion until fame takes over. Fifteen years later, broke, dumped and fresh out of jail, she begins to regret the lifestyle and name she created for herself. The shrill ring of her phone brought her back to the present. She sat up against the headboard. Her heartbeat accelerated as she answered the phone. It was Debby. Earlier, Ayanti had a breakdown. She had screamed and bawled her eyes out, wishing she was back in Calabar, the capital city of her home, Cross Rivers in Nigeria. It seemed like a lifetime ago she won that competition and left the country. “A church!” Ayanti wiped her hands across her face. She hadn’t been in one of those in years. Did Debby have any idea the kind of judgment that went on in that place? She’d take her chances with the mean police officer until next month. “Hear me out. The church volunteers with Homes for Charity as a non-sponsor group. You can be part of those volunteers and when they are not volunteering, you can still make up some hours by working in the church. That way, you can get this thing over with faster. Now tell me that doesn’t beat picking up trash in the streets,” Debby finished. “I guess you’re right.” Ayanti contemplated the whole arrangement. 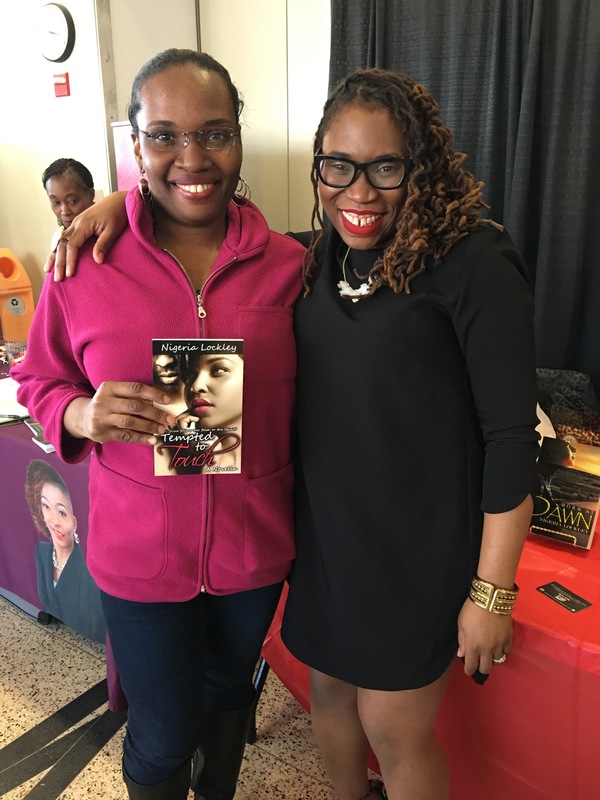 About the Author: Born in Akron, Ohio to Nigerian parents, Unoma Nwankwor spent her childhood and early adulthood years in Port-Harcourt, Nigeria. She possesses a Bachelor’s degree in Finance and a Master’s degree in Global Management. Her publishing credits include An Unexpected Blessing (2013), The Christmas Ultimatum (2013), When You Let Go (May, 2014), A Scoop of Love (Jan, 2015) and Anchored By Love (Dec 2015). Her work has appeared in Africa Book Club, USA Today HEA blog and The Kenyan E-zine; Wamathai. Her stories are described as a fusion of faith, romance and African spice. Unoma is also the co-owner of KevStel Group LLC and resides in Atlanta Georgia with her husband and two children. I usually only share new books on Friday, but Michelle and I once shared a publisher, so I have to support my fellow Christian Fiction author. 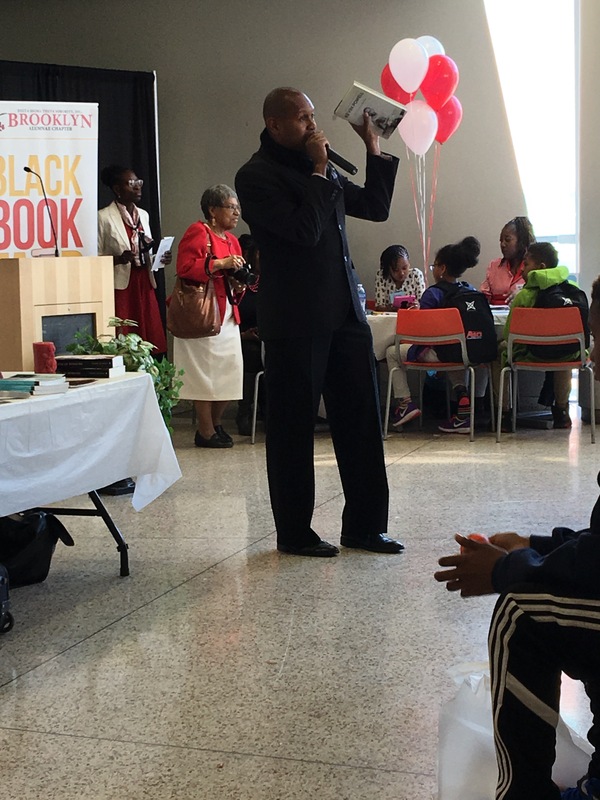 A broken heart…When Sydney Richardson meets Pastor Noah Charleston it was practically love at first sight. Sydney has battled so much deception in her personal life and in her work as an attorney, she is glad to have a perfect man she can depend on. But her Prince Charming has some secrets that are worse than Sydney could have ever imagined. What will she do when Noah’s past life come to light? A broken trust…Newly converted Christian, Belinda Santiago, harbors a secret that could end her friendship with Sydney. She’s in love with Lance Forbes, Sydney’s ex-fiancé. When Belinda and Lance’s relationship is exposed she may have to choose between her man and her best friend. A broken man…Lance Forbes returns to Port Charlotte to make things right with Sydney, but his feelings for Belinda are in his way. Lance knows for him to become a do-right man, he must face his childhood pain. Will Lance get his act together and take a chance on love or run again? Perched on the edge of his cot, Noah Charleston lifted his eyes to look at the four half-men standing before him. The leader of the pack, Mitch, was sixteen with a baby face, braces and bad acne around his chin. His two muscles, twins Roger and Wylie, were about a year older at seventeen. Both were built like linebackers. Finally, the Whiz, or Matthew a slender fifteen year old with glasses that took up half of his face was the brain of the group. “Answer him,” Roger prodded, stepping into the small cell. Noah had heard about the “Avengers” as they dubbed themselves. They ruled the juvenile detention hall and dressed in their version of combat gear: khaki pants, boots and camouflage shirts. Even the counselors were afraid of them. Noah kept to himself. Everyone pretty much left him alone. Except for today. “How about I help fix that ugly face of yours?” Noah threw back. Wylie sprung at Noah. Noah jumped to his feet and sidestepped the much bigger guy. Then he bashed Wylie in the back of the head. Roger lunged at him. Roger’s chest heaved but he backed off. His eyes held a threat. Noah met his gaze, daring him to bring it. “I like my own company,” Noah said. “We have something you want,” the Whiz said. His voice was barely above a whisper. He wheezed his words as if he was always in need of an asthma pump. “We have our ways,” Mitch bragged. “We’ve handled him.” Mitch’s tone was solemn. “That’s why you should be thanking us,” Wyle said, rubbing the back of his head. Noah looked at the photograph of his parents and closed his eyes to keep the tears from falling. It was his most prized possession. When he had been sent here to the juvenile home two months ago, Noah had placed it under his pillow before lunch. When he checked for it later that night, it had been gone. He searched everywhere but couldn’t find it. That was the first time since his parents’ funeral Noah had cried himself to sleep. “Thank you,” he grounded out. “Thank us by joining us,” Mitch said. The Whiz held up a picture. It was an African-American by the name of Tony Billows who had taken it. “In the hospital with some missing teeth,” Roger said. “And a missing pinky,” Wylie added. “It was a message. You mess with one of us you mess with us all. We’re a family,” Mitch said. “The Avengers,” Wylie and Roger said in unison. They held out their fists. Noah had reservations but Mitch had used the magic word. Family. Noah wanted family. He made a fist and the boys all did a fist bump. Noah swallowed his reservations. He had a family again. Nothing else mattered. I’m definitely biased about this Friday Find. Please check out my #soulsis Unoma Nwankwor’s newest release. When you support her you’re supporting me. When Jabir Danjuma met Damisi Odinga years ago, it wasn’t necessarily love at first sight. However, their attraction can’t be denied. Just as he begins to feel the forbidden emotion, Damisi breaks up with him and moves half way across the world. Now, Damisi has a request that only Jabir could fulfill. Their encounter sets off a series of events that leave them both with fresh pain and hurt. They vow never to see each other again, but fate has a different idea. Will they stick it out long enough for the Potter to perfect their scars and pain for His purpose or will distance and time steal the day. Unoma Nwankwor is a romantic at heart. Born in Akron, Ohio to Nigerian parents. She spent her childhood and early adulthood years in Port-Harcourt, Nigeria. She is the COO of KevStel Group LLC, a faith based Entertainment Company aimed at providing uplifting and life changing entertainment through its movies and books. 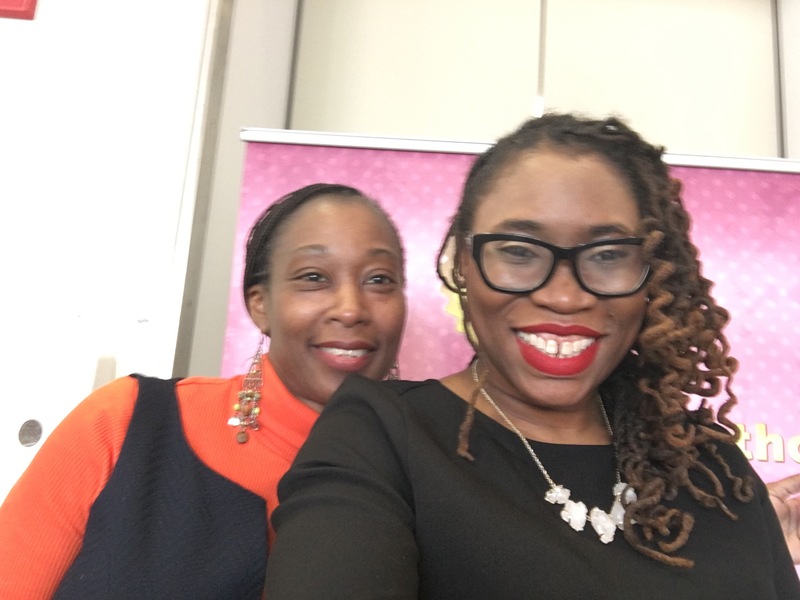 Unoma is also the published author of An Unexpected Blessing (2013) , The Christmas Ultimatum(2013), When You Let Go (May,2014), A Scoop of Love (Jan,2015) and Anchored By Love (Dec, 2015). She has numerous published flash fiction and short stories. Her work has appeared in Africa Book Club, USA Today HEA blog and the Kenyan Ezine ;Wamathai and well as numerous radio shows and blogs. She is currently working on her next novel The Final Ultimatum. 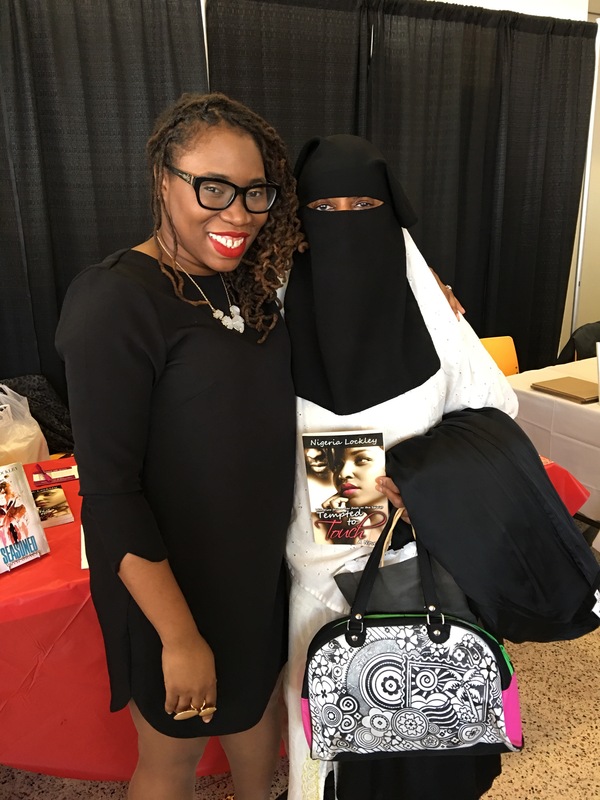 Her readers are in love with her unique way of telling stories that capture the essence of her present home base; Atlanta Georgia and her Nigerian culture. Her stories which center on forgiveness, faith and hope have been described as a fusion of faith, romance and African spice. Unoma resides in Atlanta Georgia with her husband and two kids. Happy Thanksgiving to you all!! Thank you for love and support! For those of you trying to get some reading done between bites sink your teeth into this delight–Tempted to Touch is $.99 on Kindle and Nook until 12am 11/28. One-click today and share the love!!! Have you heard about the Path to Publication Webinar??? If you’re aspiring author or know stop by http://www.inheritancebooks.co to register for this FREE Webinar and download the Am I Ready? Worksheet! 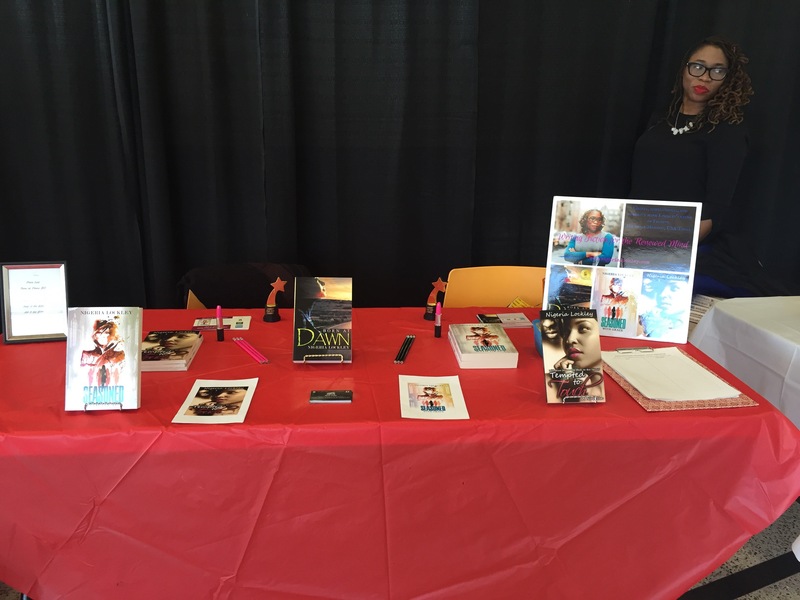 Author is giving away one autographed copy of Tempted to Touch and a $10.00 Amazon gift card. Kira Seagram is frustrated by her husband Mason’s zeal for the Lord, so she pours all of her attention into her work and reserves her soprano singing skills for the shower. Kira would rather not use them if she get can’t the adoration and recognition she feels she deserves and doubts she’ll find singing lead for Mason’s choir. When a routine drop off at her son, Nate’s private school turns into a ten-year reunion with her ex-boyfriend, Quincy McAdams, Kira isn’t interested in Mason’s half-hearted affection or willing to keep her voice to herself. With a firm offer from Quincy to help Kira cut a demo and possibly revive the love they let die, Kira has some choices to make. When Kira finds herself tempted to touch will she remain faithful to her husband or yield to the desires of her flesh? When I rounded the corner Meena, my secretary, was standing in front of her desk smiling and waving at me. Her attentiveness and bright smile cut right into my investigation into why my marriage was beginning to fail. “Hi, Meena. Did you miss me?” I asked, referring to the way she was waiting to greet me like a lap dog. “Thank you, Meena. I’m sure it’s nothing out of the ordinary,” I said as I walked past her desk. I turned the knob and my stomach dropped to my heels. On the other side of the door a tall medley of flowers and fruit curled into a G clef awaited me. A smile spread across my face as I approached this massive fruit salad structure. I fingered the petals of the black orchids and inspected the assortment of fruits—pineapple chunks, mangoes, and strawberries covered in white chocolate. All of my favorite things were neatly assembled on my desk. Mason must have thought there was another dog sniffing around his backyard. “Excuse me,” I said to Meena who was still standing in the doorway gawking at the flowers as I picked up the phone and dialed Mason’s cell phone number. He probably thought this massive floral arrangement would get me to join the choir and keep my affections at home. I would have preferred some new shoes. Shoot, for a new pair of Fendi pumps I’d churn out “I Go to the Rock” in a heartbeat and have them saints running up and down the aisle of our church in a minute. “Praise the Lord!” Mason shouted into the phone when he answered. Why did he have to be all holy all the time? “Floral arrangement?” he queried, cutting me off. 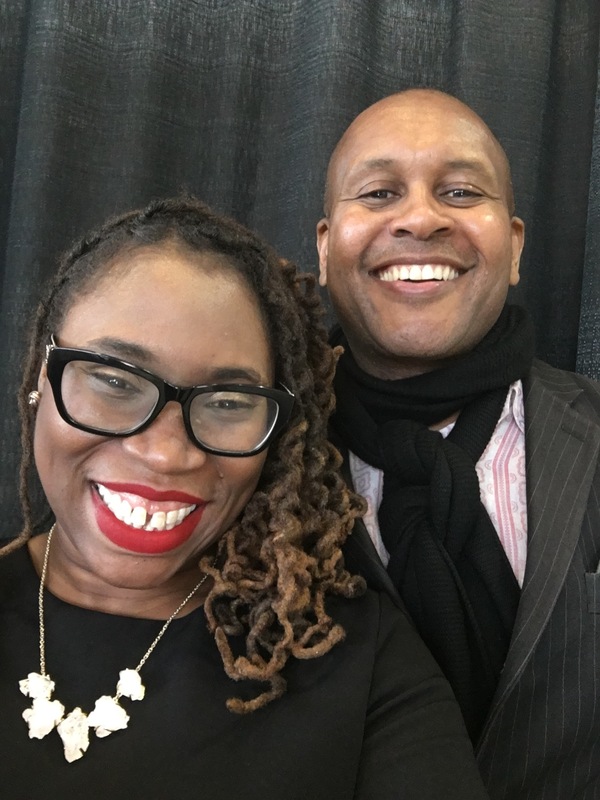 Nigeria Lockley possesses two master’s degrees, one in English secondary education, which she utilizes as an educator with the New York City Department of Education. Her second master’s degree is in creative writing. 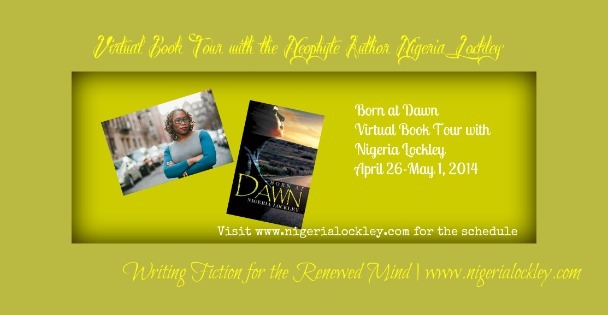 Nigeria’s debut novel, Born at Dawn received the 2015 Phillis Wheatley Award for First Fiction. 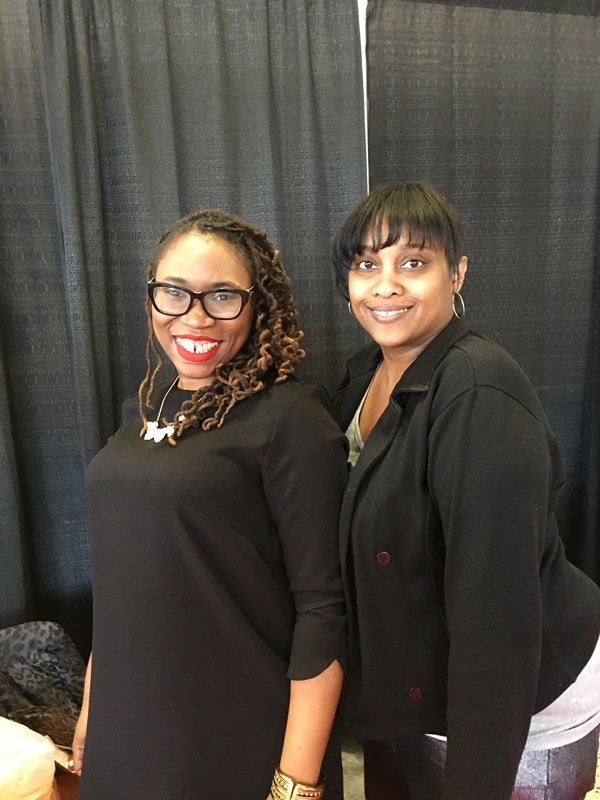 Nigeria serves as the Vice President of Bridges Family Services, a not-for-profit organization that assists student parents interested in pursuing a degree in higher education. She is also the deaconess and clerk for her spiritual home, King of Kings and Lord of Lords Church of God. Nigeria is a New York native who resides in Harlem with her husband and two daughters. The paperback version of Tempted to Touch is now available for pre-order on the Inheritance Books website. That’s right we’re sticking it to the man and bringing it to people. Amazon doesn’t allow small independent publishers like Inheritance Books to run pre-order specials on their paperbacks, so Inheritance Books is accepting pre-orders directly on their website. 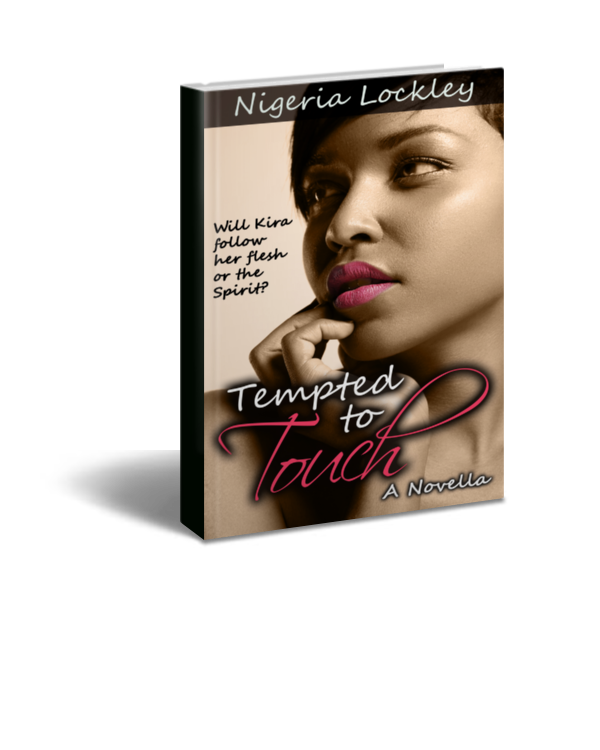 Pre-order Tempted to Touch at 20% and receive an autographed copy. Click here for a two chapter preview. Please support the movement by sharing on Facebook, Twitter, Periscope, or any other social media you know of and tell your friends in real life too. So, I’m not the only author with a book beng released today and I’m spreading the love. Please check out another new book in stores and on shelves today. The town of Waterville, Pennsylvania is home to Kendall Ross and her friends, Justin, Hannah, Alex, Megan and Owen. Together, they are JOY, the first youth praise band their church has ever had. “Kendall’s Secret,” the first in The Praise Band Series, is available now on Amazon.com. Kendall’s world revolves around her family, the church youth band, and an endless stream of text messages with her friends… until a tragic accident claims her sister’s life and leaves Kendall carrying a painful secret. Her mother, her friends, even the police don’t know what really happened that fateful night on Crooked Hill Road. Shattered by grief and tortured by her memories, Kendall knows if she tells the truth, she may never be forgiven. But if she doesn’t, someone else will face certain persecution. Will she ever find the courage to reveal how one choice, one word, changed everything? Everybody does it. That’s the battle cry of the teenager, and sometimes it is all too true. Kendall didn’t do anything that her friends and even her mom and other adults weren’t doing. That’s why Kendall didn’t seriously worry about texting while driving. It wasn’t really that big of deal, was it? Perhaps not. Until that last one, that last message that changed Kendall’s life forever and ended Hayley’s. Read her story for just 99 cents until July 31, 2015! 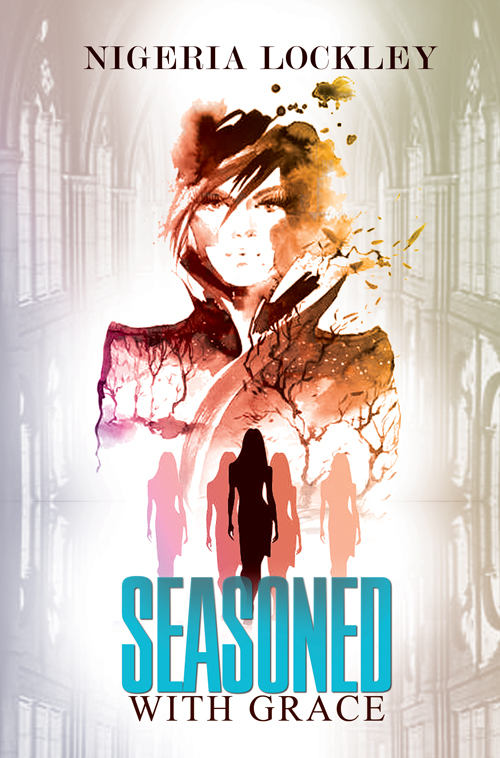 My second, yes second novel, Seasoned with Grace is now available in stores and online. If you haven’t ordered Seasoned with Grace yet please get in on the fun and order you copy today! Synopsis: Sentenced to probation, thirty-year-old supermodel Grace King must put her plans of transitioning into acting on hold. Desperate to keep a close eye on Grace and his job, Grace’s ambitious lawyer, Ethan Summerville has her complete community service in the last place Grace wants to be—his church. Instead of God, Grace finds a “chocolate drop” of a man, Brother Horace Green. Unfortunately, Horace isn’t looking for a supermodel. He wants his woman saved and sanctified, but Grace has never met a man who has been able to resist her. Will Horace compromise his faith for a taste of fortune, fame, and Grace? While Grace focuses on the pursuit of passion, Ethan finds one director willing to take a risk and cast Grace in his debut film, but this role fits Grace all too well. Will this film revive Grace’s relationship with God and her career, or bring her closer to destruction? PLEASE, PLEASE, PLEASE Support my second novel by sharing this post, liking this post, reblog this post.